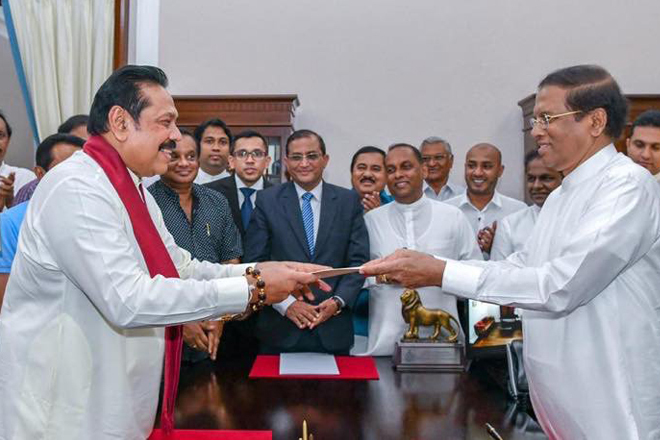 Oct 26, 2018 (LBO) – Former President Mahinda Rajapaksa on Friday took oaths as the new Prime Minister of Sri Lanka before President Maithripala Sirisena at the Presidential Secretariat. Parliamentarian Dayasiri Jayasekara said the decision to leave the government was taken at a special UPFA meeting held in the afternoon. President and the new Prime Minister held a special meeting at the Presidential Secretariat to discuss the future course of action of the new government. Minister Mahinda Amaraweera earlier stated that the Speaker of Parliament has been notified of the decision to quit the unity government. 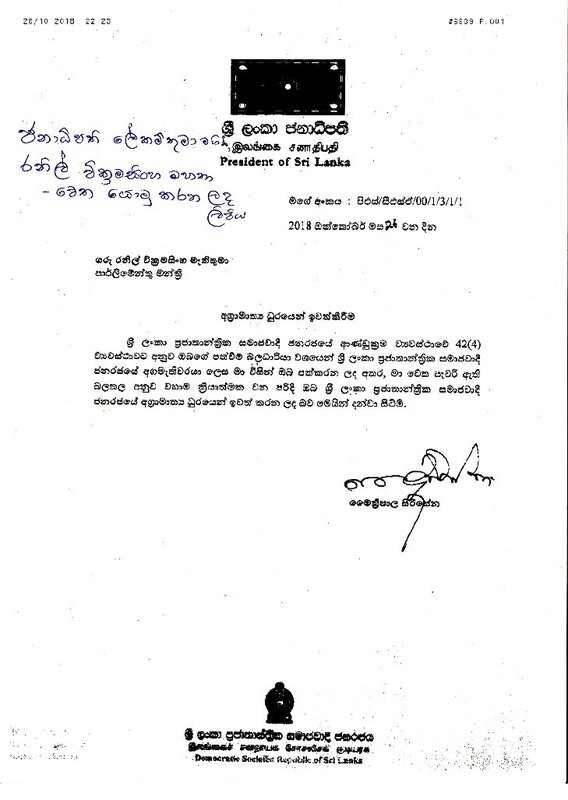 The letter issued by President to Ranil Wickramasinghe removing him from the post.